The Editor and Editorial Committee of Muséologies invite submissions for the 10th anniversary special edition, which will focus on the last decade’s most significant developments in the museum field. 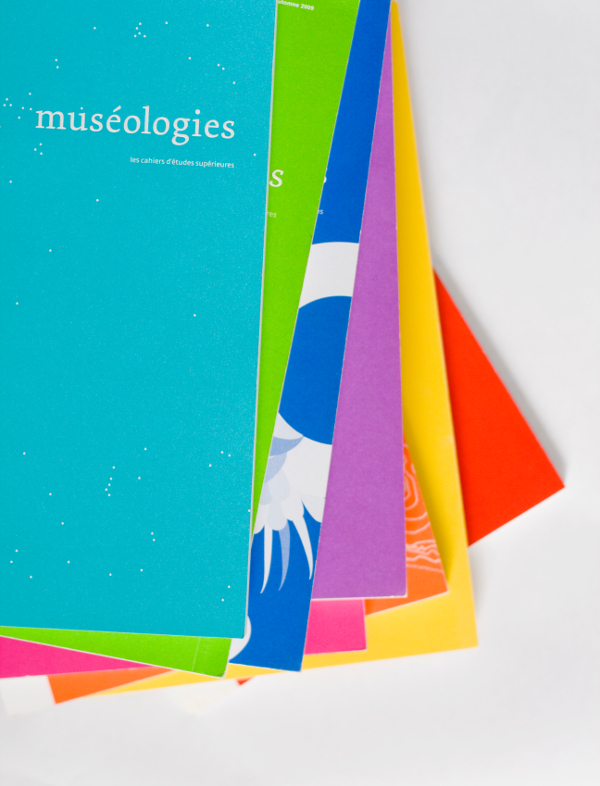 Muséologies is a peer-reviewed publication cutting across the arts production and the arts scene, the humanities and the social sciences. Its mandate is to publish and promote interdisciplinary research centered on the contemporary museum’s multiple functions. The museum’s participation in the reinvention of the urban space. Evaluation: The editor and the editorial committee will analyze your proposal and will inform you of their decision. Articles will be selected based on their contribution to the field of museum and curatorial studies, art history and theory, architecture and urban theory, or arts and cultural education. The clarity of communication, the strength of the research and associated methodologies, and the relationship to the issue’s themes will also be important criteria in the evaluation. Authors whose proposals are accepted will develop a 7000-word (approx.) article (notes and references included) in English or French. Please note that all articles will be peer-reviewed anonymously.